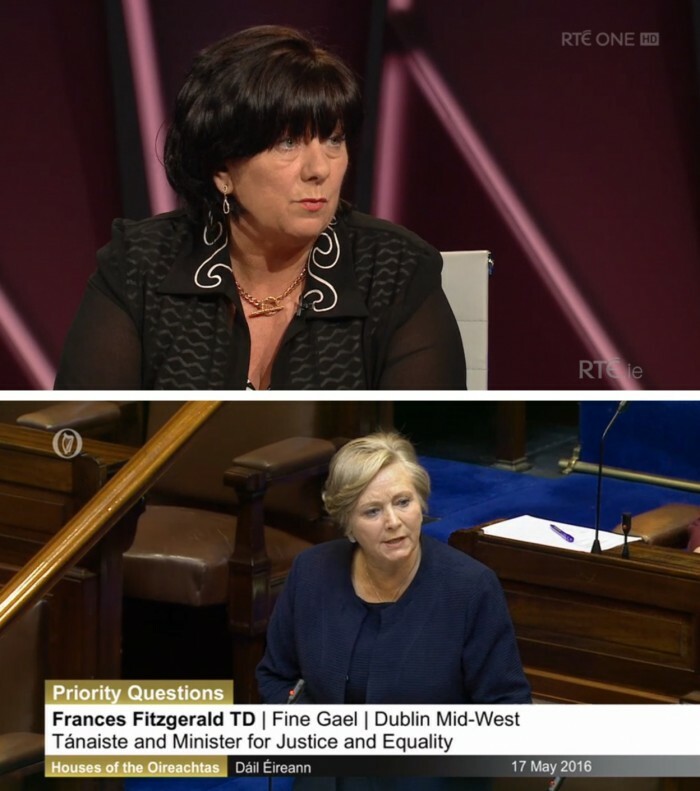 Posted in Misc and tagged Frances Fitzgerald, Noirin O'Sullivan at 3:57 pm on February 20, 2015 by Broadsheet. 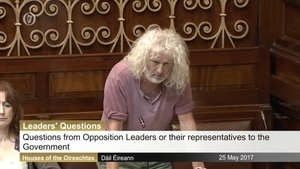 The Garda Commissioner should stop political policing. She should also stop talking nonsense about the protesters. 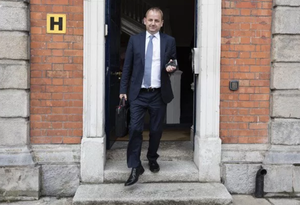 We need a new Commissioner, one untainted by all the Garda corruption. 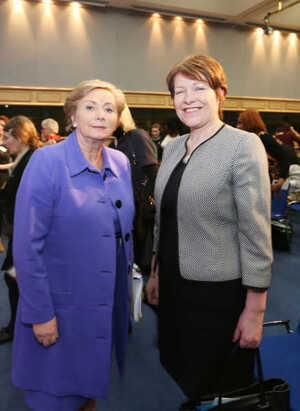 And the Garda Commissioner looks great also out of the uniform, nice to see them have a bit of down time. I actually saw her walking down Temple Bar there a few weeks ago in her full uniform with all the stripes and all. She looked absolutely stunning. 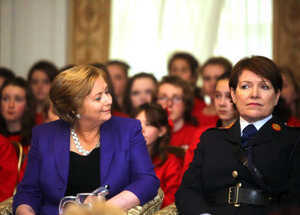 For all the crap about the Gardaí she creates a very positive image. Bless her. In Temple Bar? Probably on her way to a stag. It’s a disgrace the wages they pay the gardai I tell you. A woman in uniform huh Joe? And a big boss ‘wan too. must have been very exciting for you Joe, did you ask them for an autograph? How dare you crowd of inbreds impugn the good character of our Dear Garda Commissioner!!!! I’ve reported this disgraceful attempt at ‘banter’ to the relevant authorities. Will we be handcuffed d’ya think? Depends. Are ye into midgets? I’ve been known to swallow a few shorts. 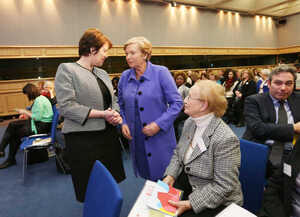 Catherine McGuinness is a very nice lady indeed. “And how are you today my little piglet” said Frances….